"Jerzhy Knuteman's 'The Vatican Files' is part historical novel, part supernatural thriller, and part science fiction alternate history. An impressive read by an impressive author, "The Vatican Files" is highly recommended for community library fiction collections." "In this fast-moving suspense thriller, the Pope dispatches a group of military-hardened Jesuit operatives to save the world against history’s most evil villain. If you like a plot full of twists about Nazis and the Vatican where good and evil aren't always black and white, then this action thriller is the book for you. Filled with sci-fi elements such as UFOs, aliens, alien technology and government conspiracies, this book is a page-turner and a fun read. Enjoy!" 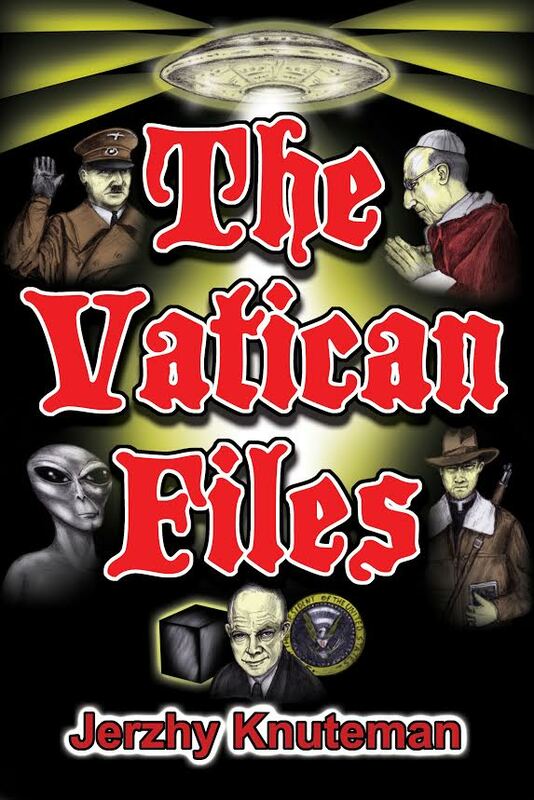 "The Vatican Files masterfully weaves UFO lore with true historical events to create a fast-moving suspense thriller! When the public gets full disclosure, will some of this book's story lines prove to be true?" "If you follow "Ancient Aliens" on The History Channel, if you like historical fiction, World War II, and a little "Indiana Jones" thrown in for good measure, get ready to be intrigued!"